Clean Mat Bodywork Service has built a support vehicle for the Dolphin Rally Team that took part in the Paris-Dakar rally. The Scania chassis came from the trading stock of Clean Mat Trucks. 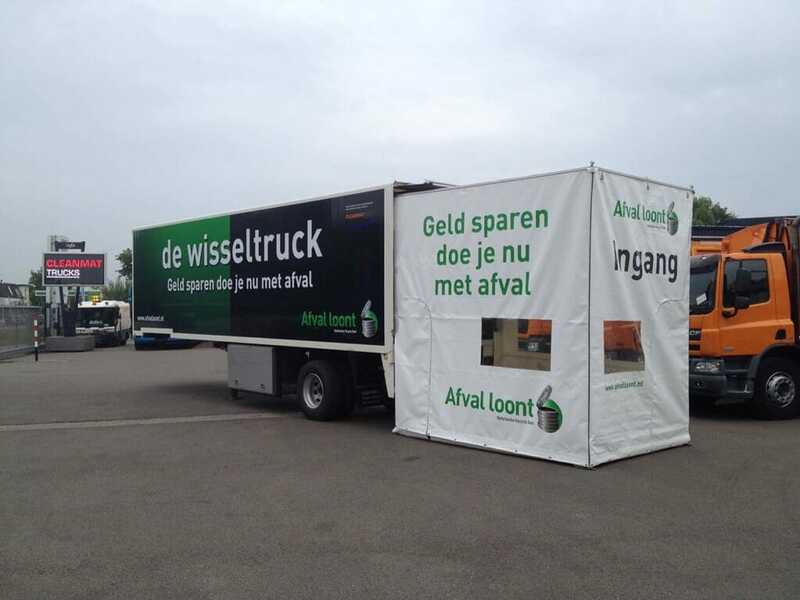 For the initiator of 'Waste pays', Clean Mat Carrosserie has built up a so-called mobile branch, called a swap truck. This special truck came from the trading stock of Clean Mat Used Trucks. The Clean Mat Carrosserie Department arranged it completely according to the wishes of the customer. For instance, the trailer has a specially developed retractable tent and a special rechargeable lithium battery pack, which powers all electrical devices. 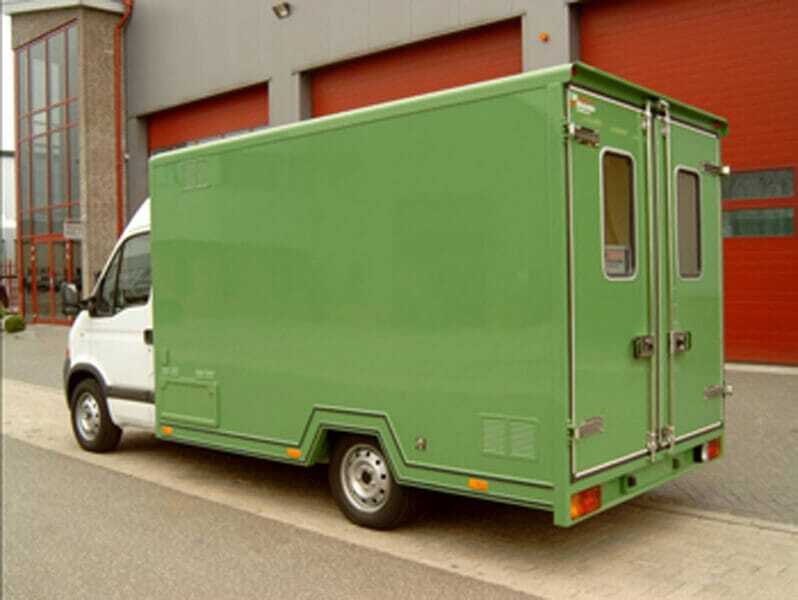 The trailer is also equipped with a waste compactor, weighing system and engine-independent heater. 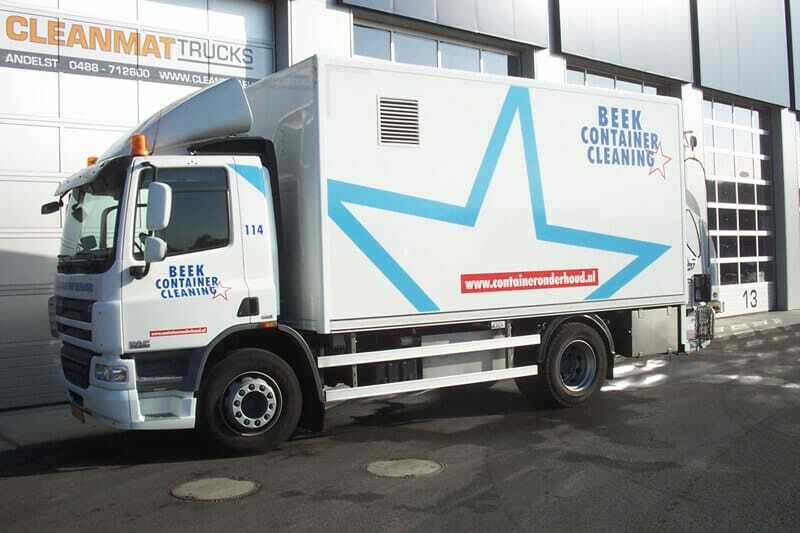 For Beek Container Group, Clean Mat Carrosserie built up a special cleaning body with container loader to clean both aboveground and underground containers. 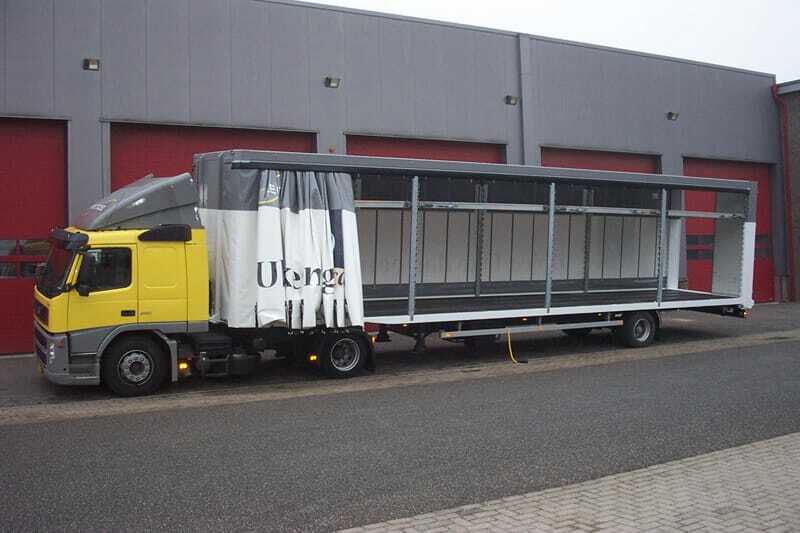 For Recticel Nederland, Clean Mat Carrosserie developed a special compactor trailer with an aluminium lifting floor. The hydraulic lift/compacting floor ensures that the trailer can carry 60% more foam products. 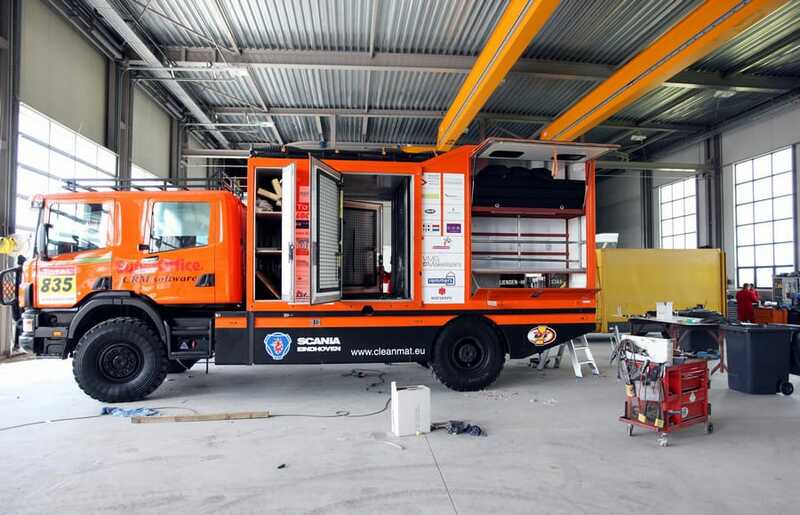 Under the instructions of Novio, Clean Mat Carrosserie built a special Chemo truck. This vehicle is used for the collection of minor chemical waste. The truck is equipped with a column lift, electric extractor, a clean water tank and a waste water tank, running water and an engine-independent heater. 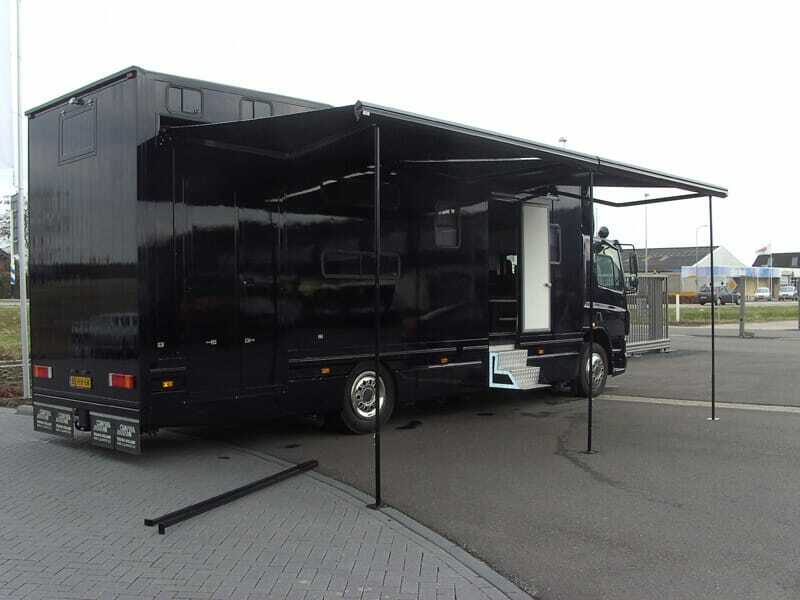 Clean Mat Carrosserie built a so-called motor home for a private motocross team. The truck came from the trading stock of Clean Mat Trucks and was reconstructed according to the specific requirements of the customer. For instance, the truck features a workshop with hot and cold running water, an engine-independent heater, electric canopy with a specially tailor-made awning and a spacious living. 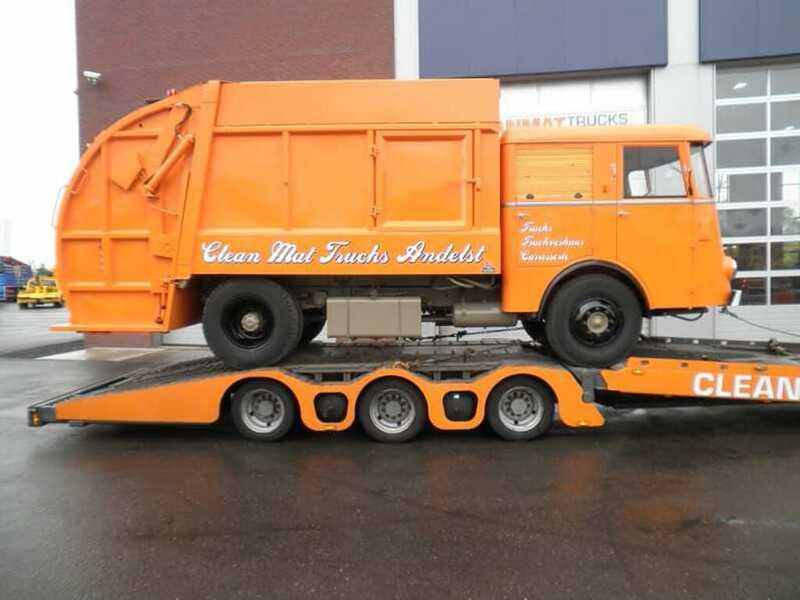 Recently, Clean Mat Carrosserie fully restored a DAF 1600 with a Collectomatic refuse compactor. The vehicle, which was first registered in the Netherlands in 1962, was completely disassembled. The cab was almost entirely provided with new sheet metal, and additional doors with wooden shutters were fitted. The body was also thoroughly overhauled, whereby the largest part of the floor was renewed, all hydraulic cylinders were equipped with a press plate, the loading system was overhauled and all piping was replaced. The DAF 1600 was spray-painted in-house at Clean Mat Carrosserie with authentic spray-painted advertising. The overhauled vehicle is intended for promotional purposes and will be used at events and fairs in which Clean Mat Carrosserie participates. Enthusiasts can also admire the DAF 1600 at our location in Andelst.